Start mining and get Steam Keys! 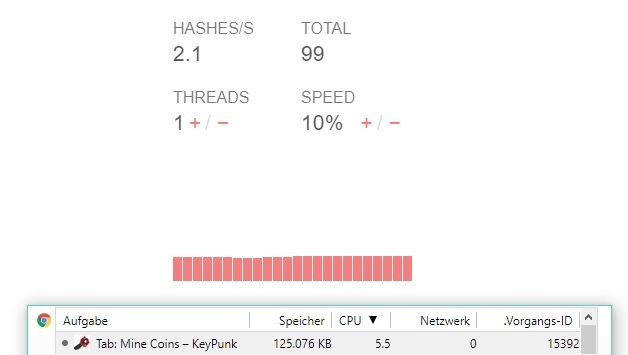 With the KeyPunk Miner, you are able to earn Coins without doing anything. Your CPU do the work for you. You get the Coins for it. The Miner has no limit. You can use it on as many devices as you want and as often as you want. Start mining and get Steam Keys! register or log in to start mining! Why is my CPU Usage at 100%?!?! The Miner use the power of your CPU. You can adjust the settings to lower the CPU Usage. Just try out to lower the Threads and the Speed of the Miner and see what happens. How I save my hashes? Your solved Hashes will be saved in our Database. 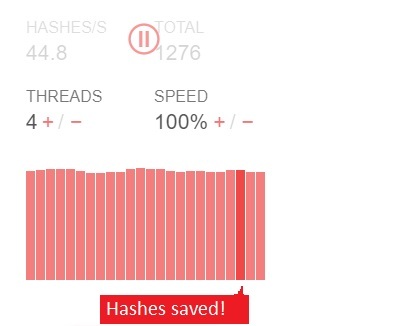 Your hashes will be saved every 5-10 seconds. If you see a dark red line then your hashes were saved! Still have questions or problems?